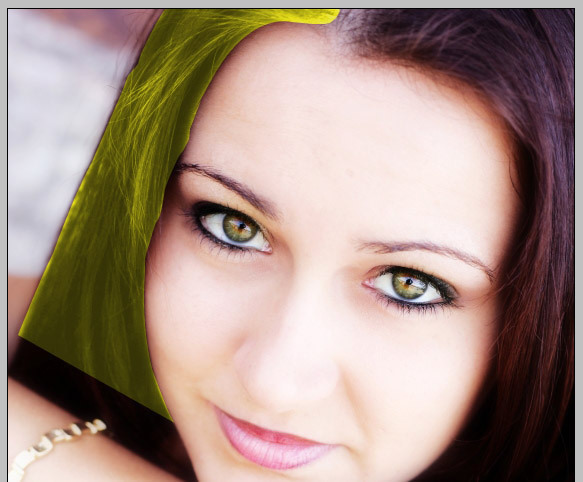 In this easy photoshop tutorial we will be using an image of a woman and change her hair by appling hair streaks and highlights. Hair color highlighting is done in a simple maner. 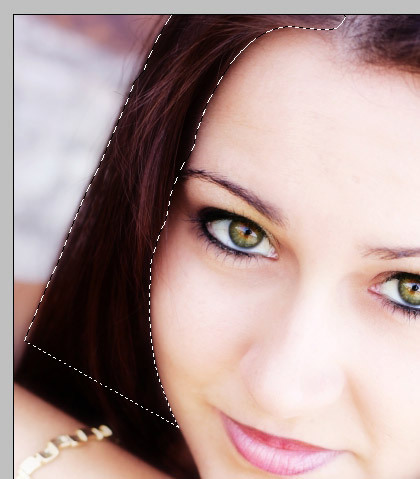 We will use layers in this photoshop hair color tutorial to create the hair color effects. 1. Open an image that you would like to manipulate. In this case we are going to use a photo of a girl with fine hair. Duplicate the layer, place it on the top and ensure you are working on the duplicated layer through the rest of this project. 2. We will use the pen tool and create paths around the area we would like to manipulate. 3. Lets work on one side of her hair. This way we can compare what we have done with the other side. 4. We will now apply hue/saturation to our image. To show the a huge change, I will be using a very funky color. 5. Make sure you click on colorize and use whatever color setting you like, below is an example of what I will be using. 6. 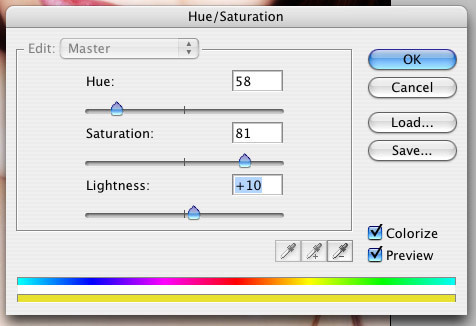 After you press 'OK' this is what we get with hue/saturation. Now its not that pretty but we will fix that to make it appear much more natural. But first lets add some more depth to the colour. 7. 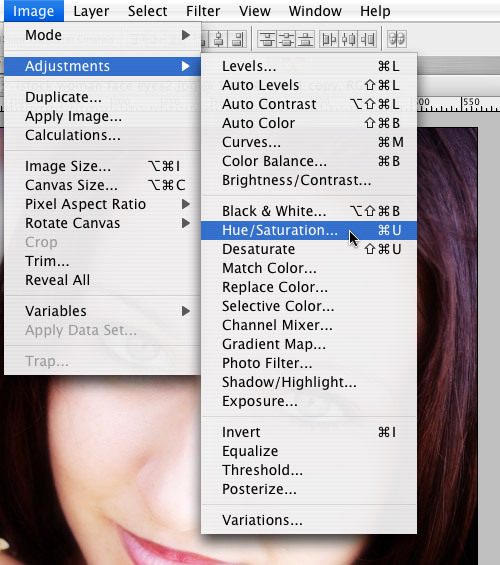 Adjust the brightness and contrast with the settings below. 8. 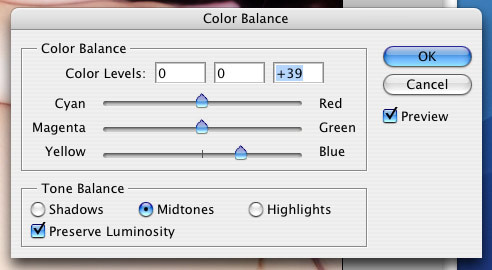 Now adjust the color balance to your likings. I will be using these settings. 9. Now that we are done with the adjustments of color with her hair. We would like this to look much more natural. 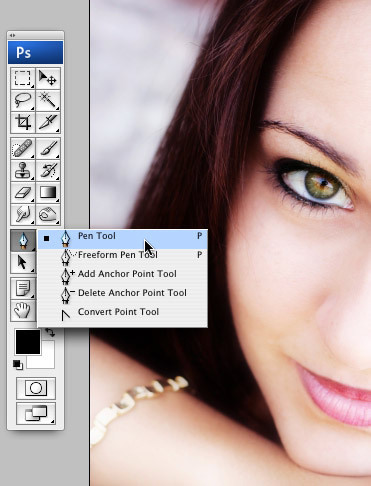 Do this by selecting the eraser tool with a fat brush size and gently go around the highlighted color. Keep in mind that we still have the original layer below. Your results should look similar to my final piece.